The apricot tree (Prunus armeniaca) is an averagely high tree, with a big and dense crown. The leaves are lanceolate, slightly dented or their edges. The flowers are type 5 flowers, white or pink. The fruit is a fleshy drupe of a yellow-orange color. The apricot’s diameter can be 3-cm. 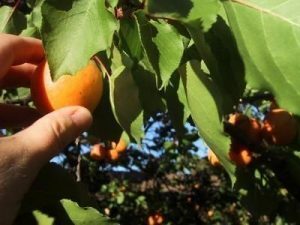 The apricot tree is a highly appreciated fruit-bearing tree, but due to the last years’ climate, the apricots production has significantly decreased. 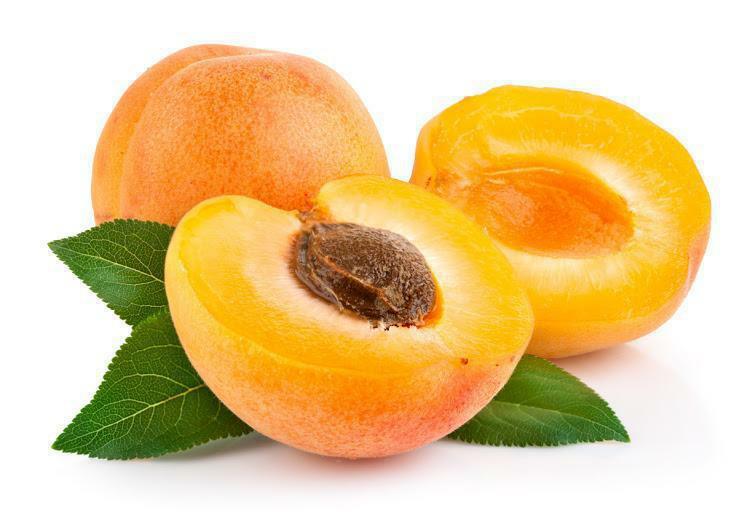 The apricot fruits contain: sugar, protein, phosphorus, potassium, calcium, sulfur, magnesium and vitamins (A, C, E, P). Regardless of the rootstock used, the apricot tree grows a root system that is capable of feeding and supporting the entire plant. During the first years after planting, the aerial part has powerful vegetative growth. Once it has started bearing fruit, the growing rhythm slows down. 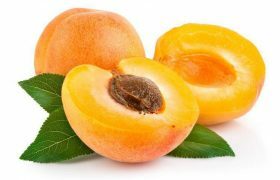 The apricot is a highly fertile species, that grows a large number of fruit-bearing buds, both on long and short branches. The vegetative rest period of the apricot tree is problematic. The tree can exist this vegetative rest period during the first days of winter and it is, most of the times, affected by frost. The production capacity is high. The apricot tree will bear fruit 3-4 years after planting and is has a constant production for 15-20 years. The temperature is one of the limiting factors when it comes to extending the apricot production. During their vegetative rest periods, the apricot tress can withstand temperatures as low as -26 degrees Celsius. These trees will blossom if the temperatures are higher than 12 degrees Celsius. If the temperatures are low during the blossoming period, the pollination process will not be affected. Sometimes, the pollination process is carried out even before the flowers have fully opened up. The apricot tree will also survive in areas where the annual rainfalls are around 450-500 mm. This tree will make a proper use of the soil water it has stored during winter. It is, however, one of the most pretentious fruit trees when it comes to light requirements. The apricot trees need to be planted on bright parcels, and tree rows need to have a north-south orientation. Pay attention to the planting scheme as the trees must not shadow one another. 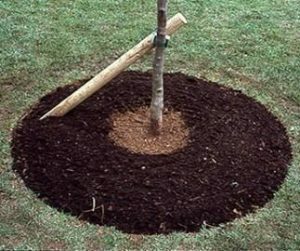 The tree will grow well on any type of soils, but it won’t live for many years on heavy and moist soils. The apricot tree will make a proper use of the consolidated sandy soils, only if the parcel is irrigated and fertilized. 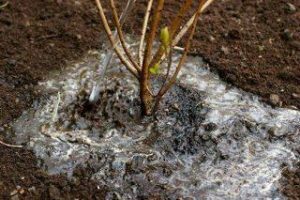 The soil preparation techniques are identical to those used for other fruit tree species. If the apricot plantation is started on a parcel that has been used for an orchard before, then the soil needs to be prepared 1-2 years in advance. The soil can be planted with perennial herbs as this will help in restoring the soil structure and eliminating the possibility of diseases. If the parcel has been severely infected by spontaneous plants, the following herbicides can be applied: Roundup, Clinic, Glyphogan. The soil needs to be fertilized using 20-30 tons of organic compost per hectare. We recommend sowing the soil to a 60-cm depth as this will ease the root development. This you cannot proceed with this, then manually sow the soil. All foreign residues must be gathered and eliminated from the parcel. To have a precise planting, we recommend marking the parcel. This will establish the location of each future apricot tree. The optimum time for planting the apricot trees is during autumn. This information can also be used for the peach trees. The planting materials need to be purchased only from nurseries or authorized planting stations. The following planting scheme is recommended: 5-m distance between the rows and 4-m distance between the plants on each row. Before planting, the roots need to be cleaned up. This process will remove the wounded parts of the roots and smooth the existing wounds. The dead roots need to be eliminated and the living ones need to be shortened to a 7-8-cm length. This process has the purpose of keeping the root system as healthy as possible. The roots need to be cleaned before planting only if the seedlings have been recently taken out of the soil. After cleaning the roots, the following process to be carried out is mulching them. Mulching represents placing the roots inside a mixture of yellow soil, fresh organic compost and water. The mulching layer is meant for keeping a high humidity percentage around the root system. The mulching mixture must have a sour cream consistency. If the planting material is transported on long distances, the roots need to be placed inside a water filled vase for 2 hours, before mulching. This process will rehydrate the roots. This process needs to be started by digging the holes. 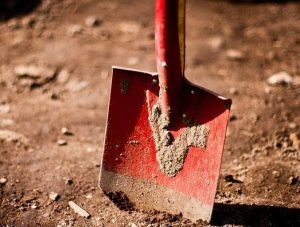 If the soil wasn’t taken of before planting, the holes need to be dug 2-3 months in advance and it must respect the following dimensions: 100 x 100 x 80 cm. If the soil was properly taken care of, the holes can be only be dug 1-2 prior to planting, or even during the same day. If this is the case, the holes must have the following dimensions: 50 x 50 x 50 cm. During spring, the necessary water intake must be provided. 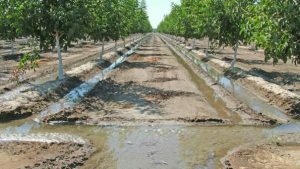 Irrigation is mandatory for young orchards. Around the trees, the soil can be superficially dug, or covered with vegetal residues (mulching). Mulching keeps the trees in a good phytosanitary condition, it prevents the spontaneous plants from growing, it preserves the soil water and reduces the number of maintenance procedures that need to be carried out. One of the most important maintenance procedures to be carried out is cutting. These cuts are intended to form the crown and keep a balance between the vegetative growths and the fruition. These cuts are also meant for increasing the fruit production throughout the years, without affecting the trees’ biological cycles. During the first vegetation year, the trees need to be shortened to an 80-cm length, during summer. Once the trees have entered their vegetation periods, take out all sprouts from the trunk up to a 50-cm height. Choose 3-4 sprouts from the superior side of the trees, that are evenly placed on the stem, to form the first crown layer. Take out all other sprouts from the plant. During the second vegetation year, the chosen sprouts need to be shortened to a 50-cm length, with the cuts applied above buds with an exterior orientation. The extension branch of the axle must be 25-cm taller than the first layer of the crown. This can be corrected by cutting above an exterior oriented bud. Leave 2-3 extension sprouts on the 3-4 main branches and take out all other growths. During the third year, the extension sprouts of the main branches must be shortened to a 50-60-cm length. The cuts will have to be applied above an exterior oriented bud. Choose 3-4 sprouts evenly placed on the stem, from the main axle, to form a new crown layer. Take out competing branches and the ones that shadow one another. The remaining branches from the axle will be shortened to a 10-15-cm length, to grow fruit. During summer all greedy sprouts will have to be taken out, as well as the competing branches and the ones located on the superior side of the main branches. After 4 years of cuts, the tree will start to finally bear fruit. During the following years, the purpose of the cuts will be taking out the greedy sprouts, dry or ill branches, maintain a balance between growth and fruition, so that the tree will not become exhausted. The summertime cuts are bearable for the apricot tree. During this period, greedy sprouts and overlapping branches will have to be taken out. The tips of the young sprouts will also have to be cut off. This process leads to the development of the sprouts that are located below the cutting point. All cuts need to be performed at a 45 degrees angle, wounds larger than 2-cm will have to be covered with mastic. This is how the water will easily drain from the roots. To control and growth and fruition of the trees, there are some position changing procedures that can be carried out. These are: training the branches, tilting the branches and arching the branches. – Training the branches: this is represented by changing the natural branch position, by conducting it to grow more vertical. This leads to the growth and fortification of that branch. This process needs to be performed to the weak and delayed main/supporting branches. The branches can only be trained on young and developing trees and it it’s favorable for fruit-buds differentiation. – Tilting the branches: this process is consisted of changing the branch position, by making them stay/grow horizontally. This operation leads to differentiating the fruit bearing buds on the branch and to airing the crown. The branches can be tilted beneath the horizontal point and this will lead to an abundant fruition. This process needs to be carried out during the young stages of the trees, when the vegetative growths are predominant. – Arching the branches: by performing this position changing technique, the base part of the branches will remain ascending, the upper part will have to be tilted beneath the horizontal point (descending). This technique aids in stopping or slowing down the length growth, in garnishing the branches with fruit bearing buds, but in the same time it encourages the growth of greedy buds on the curved side of the branch, which is undesirable. The trees that have had their branches arched will bear fruit 2-3 years in advance. The orchard soil must be taken care of in the same manner as the soil for any other species. If the plantation in young, the soil needs to be cultivated with vegetables or perennial herbs. Examples: tomatoes, peppers, eggplants, onions, garlic, potatoes. If the plantation is mature, the soil needs to have herbicides applied and it also needs to be repeatedly ploughed. No herbicides are to be used during the first 3 years after planting. Examples of herbicides that can be used after the first 3 years: Centurion, Agil, Fusilade Forte, Panterea, Leopard. The apricot tree has high heat demands. It is sensitive to the low temperatures from winter, but also to the late springtime frosts. During the last years, the risk of having late spring frosts has significantly increased. The trees can be protected from these temperature variations by fumigating them. This technique consists of burning easily ignitable materials that produce a lot of smoke. Examples: rubber, hay, organic compost, oily residues, peat, etc. These materials need to be arranged as piles. 80-100 piles need to be used for a hectare of land. The technical procedure protects the trees against temperatures as low as -3 degrees Celsius. 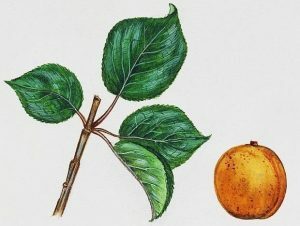 The apricot tree needs more nitrate and phosphorus than any other species, but it also needs a higher microelements quantity. The crop needs to be fertilized using 400-500 kg of complex NPK fertilizer (annually applied in 3 phases) and 20-30 tons of organic compost (applied once every 2-3 years). To assure the needed microelements intake, leaf fertilizers can also be applied. The following products can be used: Cropmax, Amalgerol, BlackJak, Terra-Sorb. The apricot tree is resilient to drought, but to reach its full production capacity, it needs to be irrigated. It is not recommended to water the apricot trees during the fruit ripening phase. This will lead to fruit cracks and a decrease in their nutritive properties. Depending on the climatic conditions, the crop can be watered 4-5 times using 300-400 cubic meters of water per hectare. The best results can be achieved by having localized or drip irrigation. As any other fruit-bearing species, the apricot tree is also affected by diseases and pests. This can compromise the entire production. 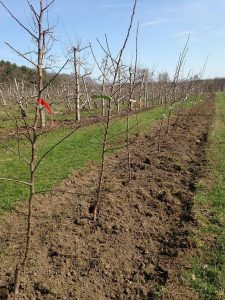 Considering this, the orchard needs to be periodically checked and the necessary treatments will have to be applied on due time. For more information about the diseases and pests that can affect the apricot plantation, as well as information about the proper prevention means, please click here. To destroy all the possible disease outbreaks from the orchard the treatments will also have to be applied during the vegetative rest period (winter). The treatments will have to be applied at the beginning of winter when the temperature exceeds 5 degrees Celsius. To prevent pests, the following products can be applied: Mospilan, Actara, Decis, Calypso, Fastac. To prevent diseases, copper-based products need to be applied. The first treatment can be applied before the leaf falling phase. The second spraying using copper-based products needs to be done at spring, when the buds open up. The substances can be dissolved in water and sprayed on the entire tree surface, from the base of the tree up until the upper part of the branches. The following products can be used: Zeama Bordeleza, Champ, Funguran. These treatments need to be applied on sunny days, when the outdoor temperatures exceed 6-7 degrees Celsius, as the substances mustn’t freeze on the trees. 7-10 days after the copper-based treatments have been applied, spray the trees with horticultural oil (150 ml for 10 l of water), such as Confidor Oil or Ovipron. The harvesting process needs to be performed once the fruits have reached their full consumption maturity; this process needs to be done 2-3 times. The proper harvesting time can be observed once the fruits have reached their specific color and dimension. Once this has happened, the apricot tree can be harvested without any issues. If the proper harvesting time is delayed, the fruit will lose their quality and will not longer be suitable for handling. The apricots can be stored in atmosphere controlled warehouses for 1-2 weeks, if the temperature is 1-3 degrees Celsius and the humidity is 85-90%.